Figure 4-9. Ocean Cargo Manifest Summary (Header Data). Home > Transportation Reference and Training Manuals > > Figure 4-9. Ocean Cargo Manifest Summary (Header Data). Figure 4-8. Calculating L/T and M/T. Now you must make a block-by-block check of the heading (see Figure 4-9). Ocean Cargo Manifest Summary (Header Data). 1 - Check to ensure that the vessel's name is correctly entered. 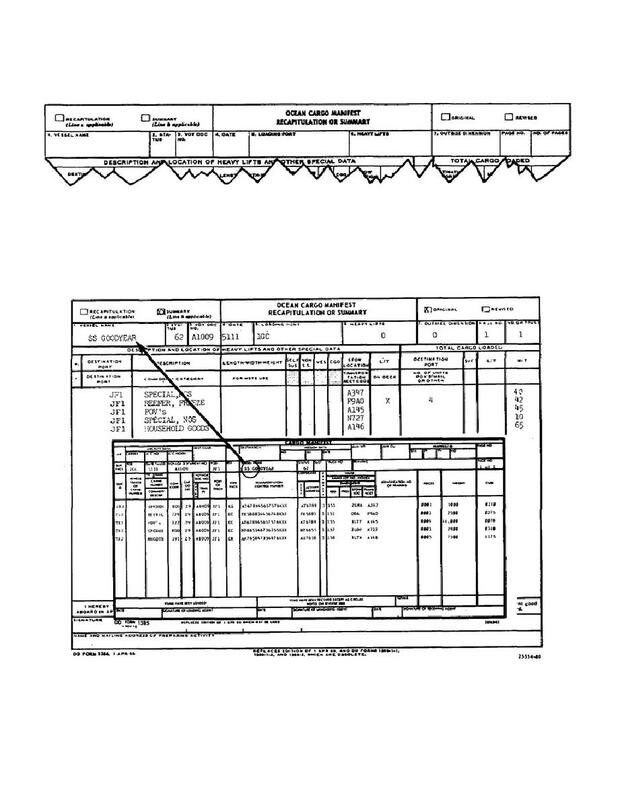 the Cargo Manifest (DD Form 1385).